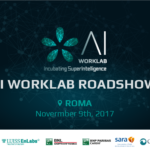 LUISS ENLABS | AI WorkLab kicks-off: discover the ten selected startups! 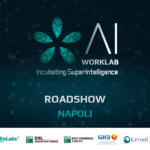 AI WorkLab, the incubation program dedicated to Artificial Intelligence sector and launched by LVenture Group and LUISS ENLABS in partnership with BNL Gruppo BNP Paribas, BNP Paribas Cardif, Sara Assicurazioni, Cerved Group and Payback, kicks-off today! After a five-month call, ten lucky startups have been selected to have access to a three-month program to transform their business ideas into MVPs. AiMed uses Artificial Intelligence to introduce affordable solutions to healthcare fields monitoring and preventing diseases providing the best health monitoring solution for the final user and his/her family. This enables the possibility for a better follow-up with doctors, clinics and hospitals. 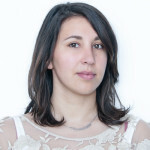 Aisblood is an Artificial Intelligence that will act in the blood analysis realm, finding tailor-made professional solutions for clients and supporting the physician through a screening evaluation of lab reports. MultiplAI will provide novel AI analytics technology to minimize R&D costs and maximize extracted value, focusing on complex data integration. Gaia is a chatbot as a core engine for communication between team members: they can ask information about colleagues directly to the chatbot and receive an immediate answer, as well as updating information about themselves so the colleagues can ask directly the chatbot without bothering anyone. Getcoo developed a proprietary Artificial Intelligence technology that allows one to identify specific objects and tools accurately and instantly. The identification process typically requires time and experienced personnel. The cost of the identification process is, therefore, higher than the item itself. Holsys is the tool that automatically builds AI from sensor data streams that can run on every kind of devices. By connecting widgets, anyone can sketch and deploy his sensor interpretation logics without writing code. Thanks to self-learning, training phase and preliminary dataset are skipped. All of this allows deploying 5x times faster than current solutions. Indigo is an artificial intelligence platform that uses chatbots and machine learning to let businesses automate customized experiences with customers via chat. The platform is based on a proprietary recommendation and machine learning algorithms. Leveraging on our own Natural Language Processing. Pasto uses Machine Learning to understand dietary preferences, tastes and habits, then it suggests new ideas on what to cook with the ingredients present in the fridge interacting only by voice commands. Pasto analyzes and interprets the request providing a personalized recommendation by understanding user’s needs. Pigro is an AI-powered self-learning search engine that allows querying organizations content using natural language. Organizations make huge efforts (in time and money term) to create valuable content that isn’t easily discoverable, in the meanwhile users waste time seeking for content. Pigro converts content into natural language easy-to-query information. Relationship analyzer uses AI and data analysis from social networks to profile matches of partners found via online dating apps. Too many matches/fake profiles/unsuitable profiles. The chatbot gives feedback and profiling on matched entities. Assigns categories/characteristics to matches in dating apps, suggesting most suitable ones for the user. 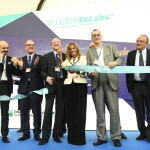 During AI WorkLab startups will attend workshops focused on lean concepts, sales and marketing strategies, technical fundamentals and investors and will receive the support of the experts from LUISS ENLABS team and partner companies. 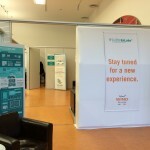 At the end of the program, participating startups will be presented at a Grand Finale.